Join in on the 4th of July festivities at the 7th largest Fair in California, the Alameda County Fair! The 4th of July Fireworks Spectacular comes back in grand style, this time, set to live music performed by the Oakland East Bay Symphony. The Blues Festival runs all day from 1 p.m. – 9 p.m., followed by the Fireworks Spectacular at 9:30 p.m. 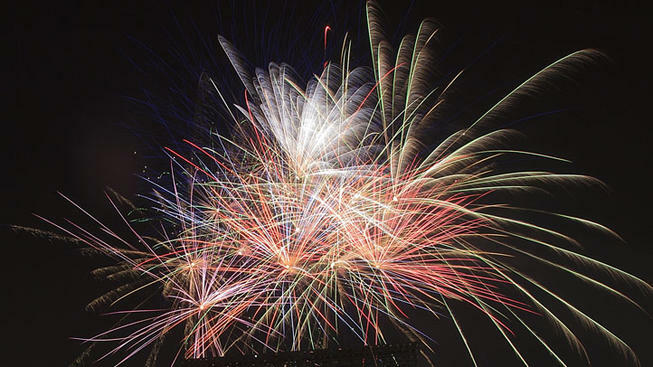 The 4th of July Fireworks Spectacular promises to live up to its name with non-stop razzle-dazzle fireworks and will feature a Salute to Hometown Heroes Video before the show! For more information on special ticket pricing, click here.